Having dark hair, dark eyes and pale skin, of course pale pink is never the best choice of colour for lipstick however I, against my better judgement, did purchase a lipstick of this colour in a moment of madness from Topshop last year and I would like to share with you my opinion of, not only this specific lipstick, Topshop lipsticks in general. 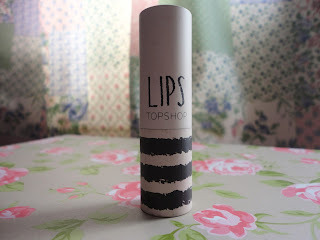 Obviously, the colour was never going to work well with my complexion and I can safely say it has not had much use over the past year but I would, after purchasing this lipstick, return to Topshop to purchase a different lipstick as there are certain characteristics of this lipstick which I did like. Slightly superficially, I did really love the packaging and anyone who knows me will be able to tell you that anything which looks pretty I will buy regardless of whether I need it. I bought a can of Arizona Ice Tea, is it ice tea?, for £2.90 purely because of the beautiful packaging. I also liked how matt this lipstick is. 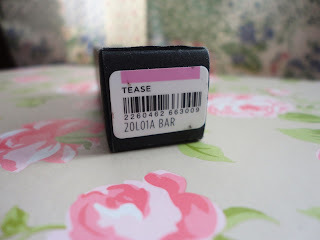 I really don't like to wear anything shiny on my lips as it doesn't look right on me so I loved that this was quite matt and just a flat, dense colour which I suppose is generic to the Topshop lipsticks. 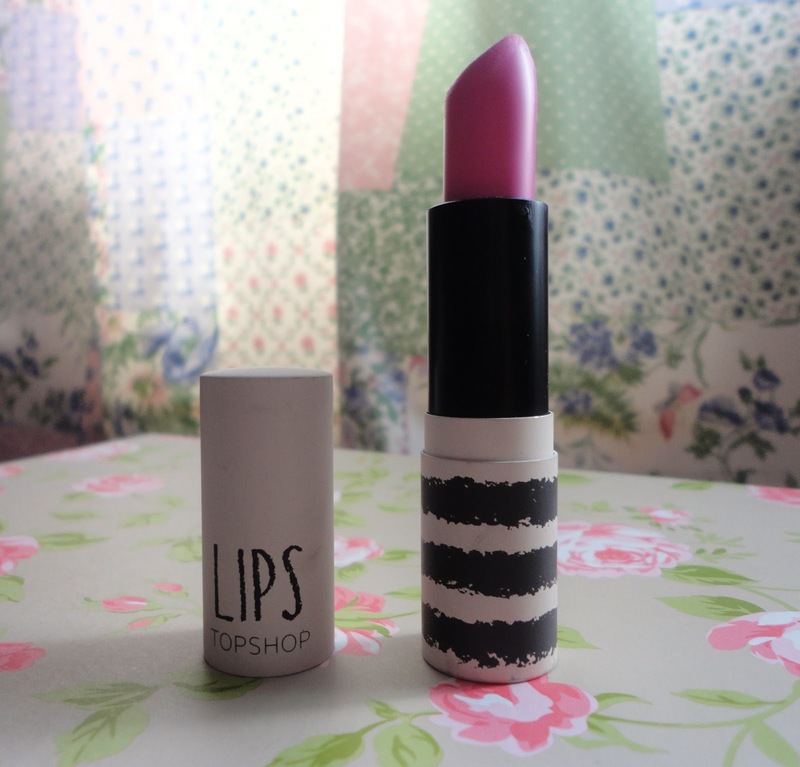 Similarly, this lipstick is so long lasting - the colour really does stick around for some time. When I was taking photos for this post I tried to do a swatch, which wouldn't show up on camera - *sobs*, and after washing my hands twice it was still there. I think the price of this lipstick was around £5-7 but I am not sure which is good if you are looking for a lipstick to invest in - especially if it is in a colour like a bright red which will be used time and time again. 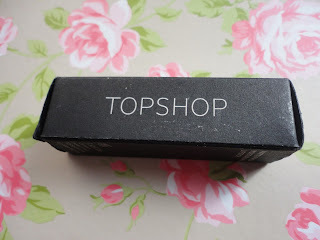 Overall, I am a big fan of Topshop lipstick and just writing this post has made me want to go to Topshop and pick up one in a red or fuschia colour. Despite the colour not really working for me I would totally encourage anyone who was looking for a good matt lipstick to invest in one from Topshop. Have you tried the Topshop lipsticks? What do you think of them? I would love to hear from you all! Could you recommend a certain lipstick for me to buy from Topshop?